This has a fresh fruity taste and is perfect for BBQ's in the sun. This new and unique range enable you to produce great tasting fruit ciders at home, quickly and easily. Each On The Rocks kit contains 1.7kg of premium apple concentrate and a carefully developed fruit add back pack which contains real fruit juice to enhance the awesome fruity flavours in every last drop. Priming (to start the conditioning stage when transferred to bottles/barrel). A small amount of sugar can be used or Carbonation Drops may be used instead. Showing 2 of our total 8 reviews, with an average rating of 4 stars. Read all 8 reviews for On the Rocks Cider Kit - Mixed Berry Cider Kit. 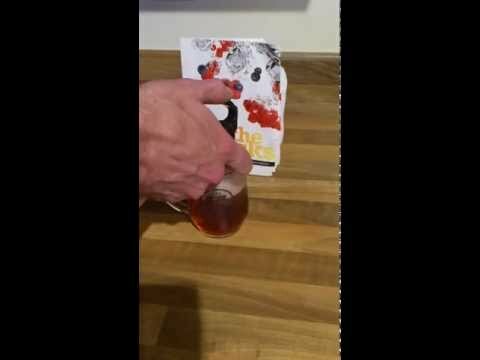 First go at home brewing which I enjoyed a lot, cider turned out great but would of liked to taste the flavour a bit more. Still waiting to try the finished product but the quick taste when It was bottled was very nice.